Is there a better alternative to Calories Counter? 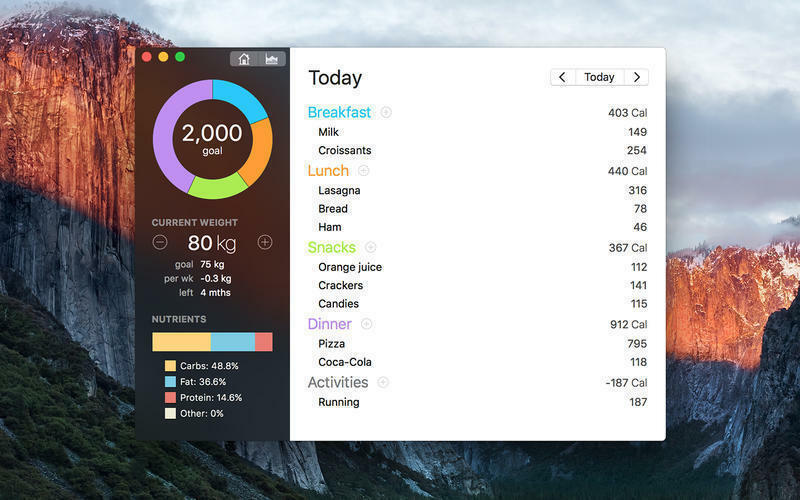 Is Calories Counter really the best app in Health and Fitness category? Will Calories Counter work good on macOS 10.13.4? 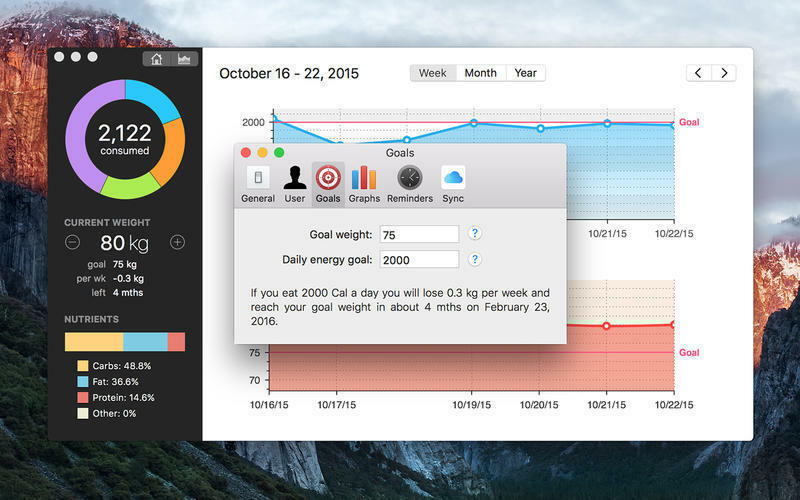 Calories Counter is your personal food diary, a powerful, easy-to-use tool that will help you to reach your goals. If you want to lose weight, gain weight, or keep fit, this is the app for you. You can track food intake and workouts, record your weight, and see your progress thanks to the charts--all in a simple and pleasant interface. Metric, Imperial/American and SI units. Estimate when you will reach your goal weight. Track all major nutrients (fat, protein, carbs). Calories Counter needs a review. Be the first to review this app and get the discussion started! Calories Counter needs a rating. Be the first to rate this app and get the discussion started! Calories burned calculator with over 60 activities. 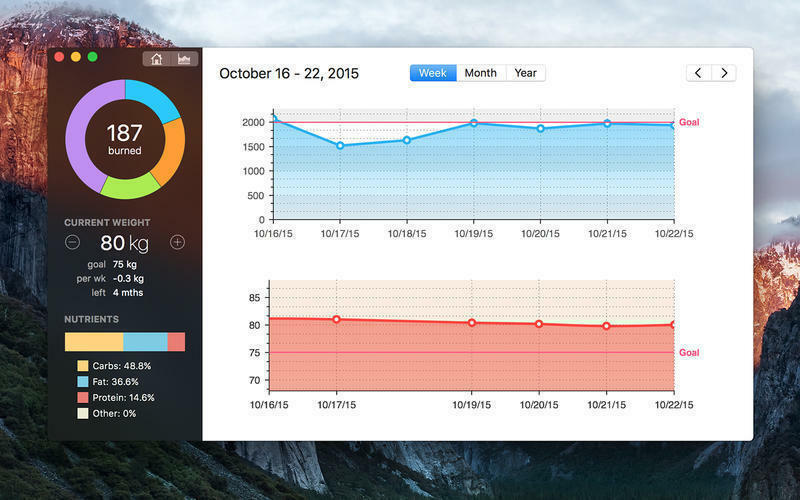 Daily and custom charts on nutrients, weight and energy intake. Estimate your daily calorie needs according to age, gender, weight, height and activity level. Create your recipes and calculate their nutritional information.